Gov. Bruce Rauner pledged Friday to veto a Democratic-backed measure that would allow the state to cover abortions for its employees and Medicaid recipients. The governor's office released a statement saying the Republican opposes legislation that would remove prohibitions on state employee health insurance and Medicaid funds from covering abortions. The proposal would also safeguard abortion access in Illinois by striking language in current law that expresses the state's intent to criminalize the procedure if the landmark 1973 U.S. Supreme Court ruling that legalized it is ever overturned. "Governor Rauner is committed to protecting women's reproductive rights under current Illinois law," said Eleni Demertzis, a Rauner spokeswoman. "However, recognizing the sharp divisions of opinion of taxpayer funding of abortion, he does not support HB40." The legislation is sponsored by Democratic state Rep. Sara Feigenholtz of Chicago, who said Rauner's opposition reveals a lack of regard for the health and economic independence of low-income women. "The art of discrimination is alive and well in the governor's office," she said, calling the move an attempt to placate his party's "far-right." Feigenholtz said her measure is needed because Republican President Donald Trump represents an unprecedented threat to women's reproductive rights. The legislation cleared a House committee in February and awaits a floor vote when lawmakers return from a two-week break. Rauner's message could wield a fatal blow to the bill in a chamber where it likely lacks the votes needed for a veto override. Feigenholtz said no Republican representatives are supporting her measure. 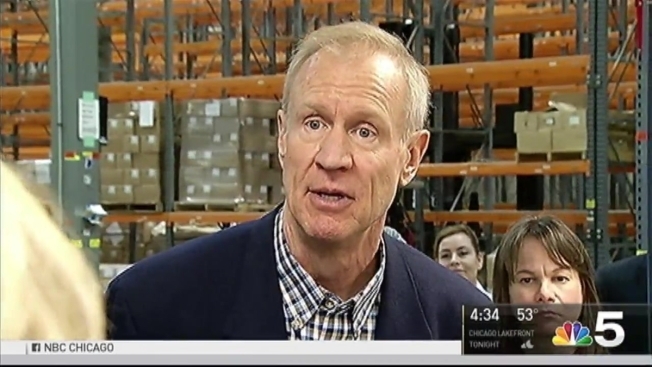 During Rauner's 2014 run for governor, he insisted he had no social agenda. Since taking office, he has angered some social conservatives by signing legislation they oppose, including bills expanding access to birth control and requiring physicians who refuse to perform abortions to inform patients where they can go instead. Several conservative groups, such as Illinois Right to Life and the Archdiocese of Chicago, have called on Rauner to veto the bill. Republican state Rep. David McSweeney of Barrington Hills recently urged the governor in an interview with a conservative blog to speak out against what he called "radical" legislation that he claimed would increase taxpayer spending to expand abortion access. Democrats are already highlighting the debate as a campaign issue. Billionaire and 2018 gubernatorial contender J.B. Pritzker released a statement Friday chastising Rauner for misleading voters by calling himself "pro-choice" yet adopting Trump's "extreme agenda." Eighteen other states have laws on their books that could be used to criminalize abortion if the landmark ruling is overturned, according to the Guttmacher Institute, a research group that supports abortion rights. Illinois is not the only state re-examining abortion access under Trump. Oregon is considering a proposal that would require most health care plans to cover abortions. Fifteen other states already help fund abortion coverage.